TAMRA HOLLOWELL SALON & SPA LOCATED IN NEWPORT NEWS, VA.
Tamra Hollowell Salon is located on the square in the beautiful Port Warwick community in Newport News, VA . 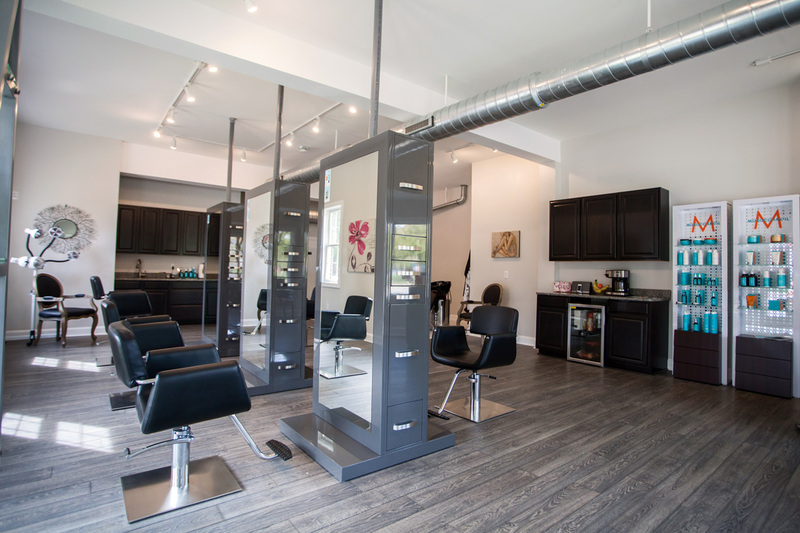 The salon specializes in a full range of services including Eufora hair color, hair extensions, Keratin Complex treatments, facial and body waxing, and facials. 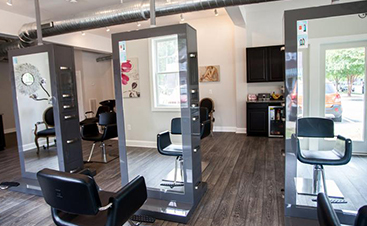 Tamra Hollowell Salon offers Eufora, Hero by Eufora, Prive, Hydropeptide, and Keratin Complex. Our staff is comprised of professionally trained experts who understand the latest techniques and how to utilize the best products. Our customer service and dedication to our clients is unsurpassed. Our goal is to offer the highest quality selection of products and accessories that incorporate all of your treatments and service needs. We continue to further our education to bring innovative products and techniques that deliver exceptional results and maximize beauty and wellness benefits. 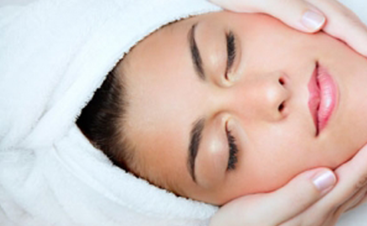 ​The ongoing training of our attentive team guarantees that our professional knowledge is at the forefront of the latest developments in the beauty industry. We love children and we hope you understand we cannot assure their safety in the professional environment. We pride ourselves in providing the ultimate relaxation experience for our guests. Children are welcome in the salon while they are receiving services. Each child must be accompanied by a parent or guardian not receiving services. Thank you for your cooperation. We welcome private parties, bridal parties, princess parties, and bachelorette parties. All parties are required to sign a Tamra Hollowell Salon agreement. We understand the desire to keep in touch. However, we ask all cell phones be set to vibrate / silent to ensure a tranquil environment for all guests. If you need to return a call, please feel free to step outside. 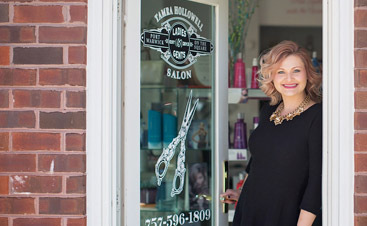 Tamra Hollowell Salon reserves the right to change prices and services at any time. For your convenience, we gladly accept Apple Pay, Google Wallet, Visa, Mastercard, Discover, checks, cash and Tamra Hollowell Salon gift certificates. Cash tips are preferable as we cannot process tips on credit cards. There will be a $25.00 fee for all returned checks.